This week six women and three men, in a purpose built box made of glass and brick, in the small town of Warrington, delivered a verdict that will reverberate through the generations. Their part in this epic struggle for truth and justice is indeed a historic one, but it plays ‘second fiddle’ to the ordinary citizens, the bereaved and the survivors who refused to go away, who spoke truth to power for 27 years and eventually made the powerful yield. 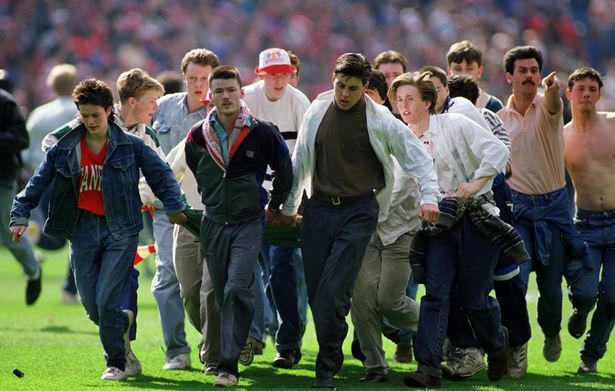 It is now a matter of public record, thanks to the bravery of these people, who have wrenched the truth from the cold claw of a heartless state, that the 96 and all those who suffered at Hillsborough played no part in the disaster. They were innocents, who walked into the ‘perfect storm’ of a stadium that was no more than a death trap, that had no valid safety certificate, managed by an incompetent police force, who viewed them as trouble makers and treated them like cattle. 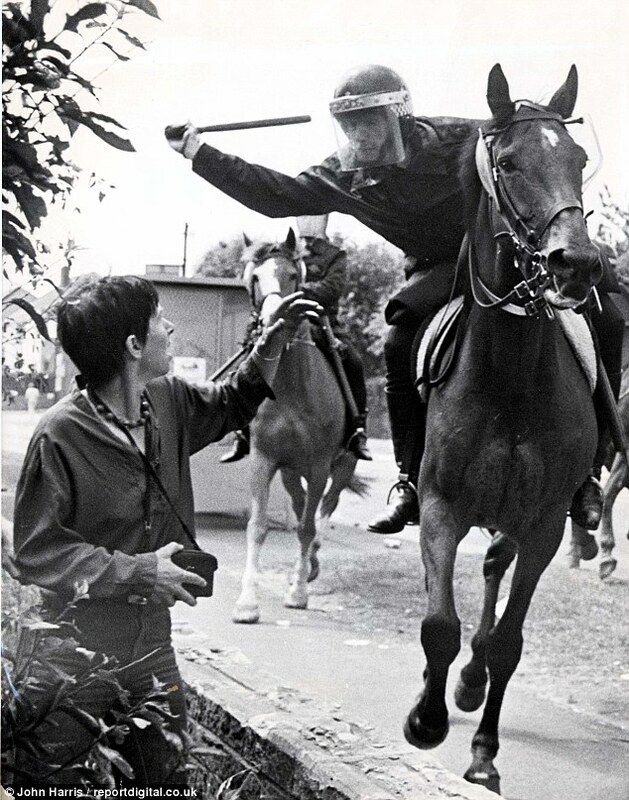 This is the same police force who beat striking miners at Orgreave, who paid up nearly half a million pounds in compensation, without admitting guilt. Perhaps their brutal defeat of the miners gave them a sense of invulnerability. After all, if they could get away with such brutal oppression on the picket lines, in the full glare of the media, how hard would it be to fit-up a bunch of football supporters? We now know they had no shortage of willing accomplices. A government, headed by Margaret Thatcher, only too happy to render assistance and help spread their lies. How interesting that the Prime Minister’s press secretary repeated police lies that a “tanked up mob” forced their way into the ground and caused the crush. How ironic that these same lies were concocted by police officers, busy getting “tanked up” in a club, while the bereaved were busy trying to find news of their loved ones. This lie, manufactured for no other reason than to shift the blame onto supporters has lingered like a stain on the memory of the 96 for more than a quarter of a century. They blamed the dead, they blamed the survivors and for a while their lies stuck. No more. We have known the truth from the very beginning and now the world does too. We know also that those same innocents, even at the point when catastrophe became glaringly obvious to all, were robbed of their last chance of survival, by an emergency response that was too slow and too inadequate to save their lives. They didn’t stand a chance. Only for the actions of Liverpool supporters on the day, themselves, brutalised and traumatised by what they had witnessed and escaped, there would surely have been even more fatalities. These supporters, instead of collapsing or running to safety, ripped down advertising hoardings and ferried the scores of injured to safety. Some administered CPR, others helped the ‘walking wounded’. They were heroes, all of them. When the original verdict of accidental death was quashed, after the publication of the Hillsborough Independent Panel report, it was made abundantly clear that the narrative which blamed the supporters was false. Yet still South Yorkshire Police continued to argue that the fans were culpable, a tactic that prolonged the inquest and the pain of the families. It forced survivors to have to ‘defend’ themselves and relive terrible memories. Now it is time for a different narrative to emerge. Yes Hillsborough was a terrible tragedy. The human cost is enormous and we may never know its true extent. How many lives have been irrevocably damaged, how many lives ended in suicide or illnesses associated with the stress of grief and survivor guilt? But today a new story of Hillsborough needs to be told. It is one that our children and grandchildren should hear. It is one that future generations to come will draw strength from. It is a story of heroic and ultimately victorious struggle by ordinary citizens against heartless authority. Justice was not handed down by a benevolent state today, it was hard fought and those responsible were dragged ‘kicking and screaming’ into acknowledging their culpability. The story of Hillsborough will, I believe, be remembered as a tale of enduring solidarity, of unimaginable heroism and sheer persistence in the name of truth and justice. It is an inspirational lesson to all who are fighting seemingly insurmountable odds that, no matter how many times you are knocked down, if you keep getting up you will in the end be victorious. My city has a proud history of community and of resisting injustice. Its people don’t know the meaning of the phrase ‘lost cause’. 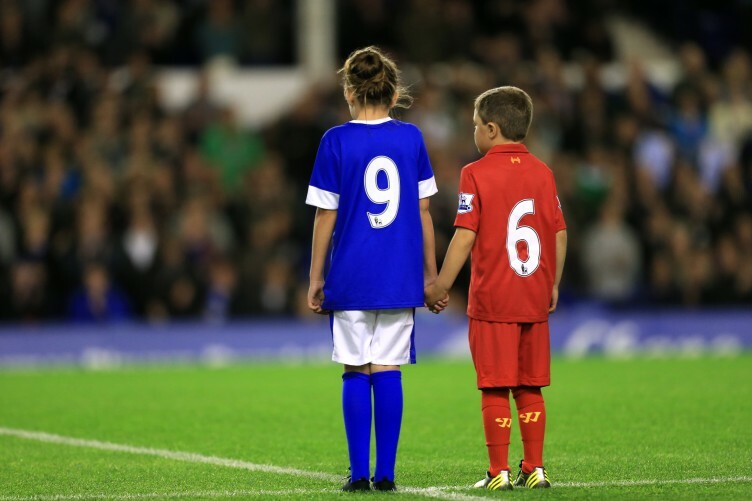 There was no way we, red or blue, would abandon the families of the 96 or the survivors. I believe that same spirit courses through the veins of the Hillsborough Justice Campaign and the Hillsborough Family Supporters Group. It is what drove Anne Williams and it’s the reason we have justice today. It was also undoubtedly a characteristic shared by the 96 themselves and each of us knows that if we had swapped places with any of them, they would have fought the same battle in our name. An injury to one is an injury to all. This is how it has always been in my city. 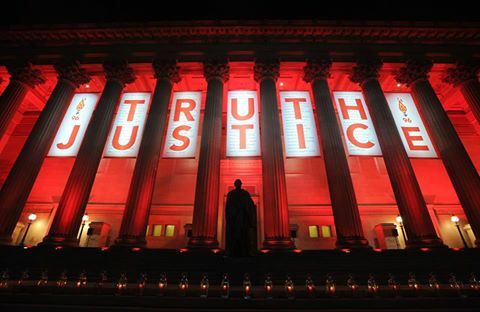 It’s how it will always be and this is how I will reflect on the legacy of the 96 and Hillsborough.